Club Profile 'Stirling Fudoshin' S.K.I. Shotokan in U.S.A. by Robin L. Rielly 6th Dan J.K.A. Scottish Shotokan Review by Kenny Taylor 4th Dan J.K.A. I think over the past five and a half years S.K.M. 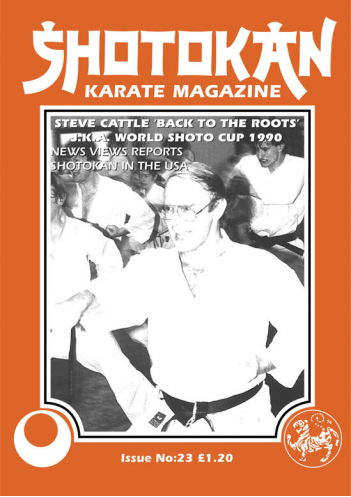 has had some superb interviews with top, senior British Shotokan Instructors; Billy Higgins, Dave Hazard, Nick Adamou, Mick Dewey, etc., and now in this issue an amazing and very controversial interview with Steve 'Stumpy' Cattle, 5th Dan. 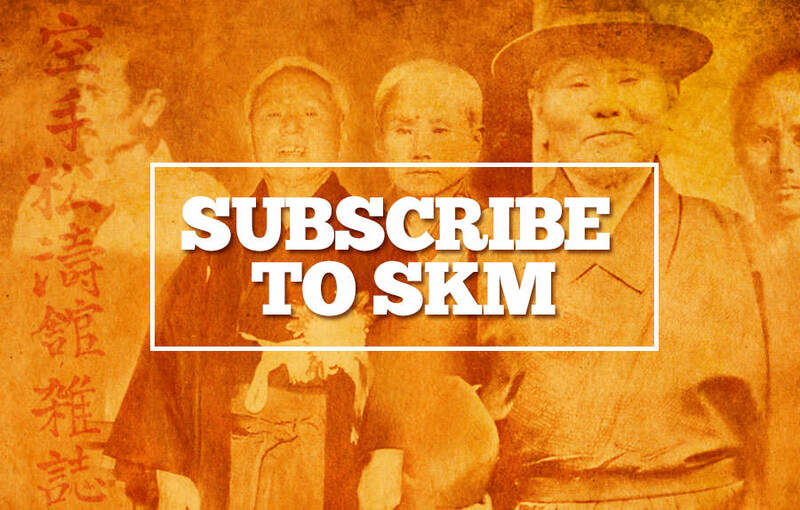 The views and opinions of the people we feature and interview in S.K.M. are their own personal views, and not necessarily those of the Editor. I must make this very clear to all readers. I publish other people's opinions and ideas on technique, history, politics or whatever and do not 'edit' anything. If someone as senior as Steve Cattle has very serious things to say, then he is perfectly entitled to voice his opinion and personal views. Steve is not only one of the longest practising Shotokan-men in the country, but also a karate historian. Here again you may disagree with his account of Shotokan history. Shotokan's history has a massive story all of its own. I'm happy to tell S.K.M. readers that Steve Cattle will now be a regular contributor to S.K.M. now that he no longer writes for Traditional Karate magazine. So, watch the forthcoming issues for Steve's articles. I don't often 'feature' Competitions in S.K.M. but obviously the 'World Shotokan Championships' is different. So I make no apologies for including Malcolm Phipps' unbiased report in this issue, together with Kenny Taylor's photos. Hope you all enjoy this issue, I think you will. I too am simply a 'practising' Shotokan student and instructor. I think I know what 'we' want. I'd like to welcome Scottish karateka Kenny Taylor, 4th Dan, J.K.A. to the latest S.K.M. Kenny, or 'Ken the Pen', will be doing regular features on the Scottish SHOTOKAN scene in this and future issues. Shotokan style is, and always has been a very popular form of Martial Art in Scotland and Kenny has some very, very interesting stories, articles and interviews up his sleeve for us. Kenny Taylor is a long time associate and student of the J.K.A. 's Kawasoe Sensei. Coming up will be interviews with Sensei's like Kase, Shirai, Osaka, Naito, and many other prominent Shotokan visitors to Scotland.